We’re very busy!!! Lots of National Hive products being made up and sent out to PH customers. I’ve had to put the mobile phone on one side to allow me to maximise time in the workshop so apologies if I don’t answer. Best bet is to email and we’ll try to answer asap. First pic is of a machinery upgrade. I’ve had my tenoning machine for some time now and it’s served me well. It had old style cutting heads but they are now illegal and they also require sharpening quite frequently so I’ve bitten the bullet and bought some new TCT cutting heads made by Whitehill. They are the business! Nice clean cuts every time and they won’t shoot out a piece of high speed steel at 100mph to boot. Next is an upgrade that I’ve been looking to do for a while but have only just found a supplier. Flat pack hives don’t look their best if they are made up with clout nails. 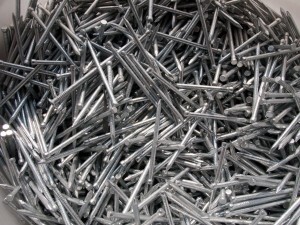 I’ve been on the lookout for galvanised lost head nails for some time. Found them! 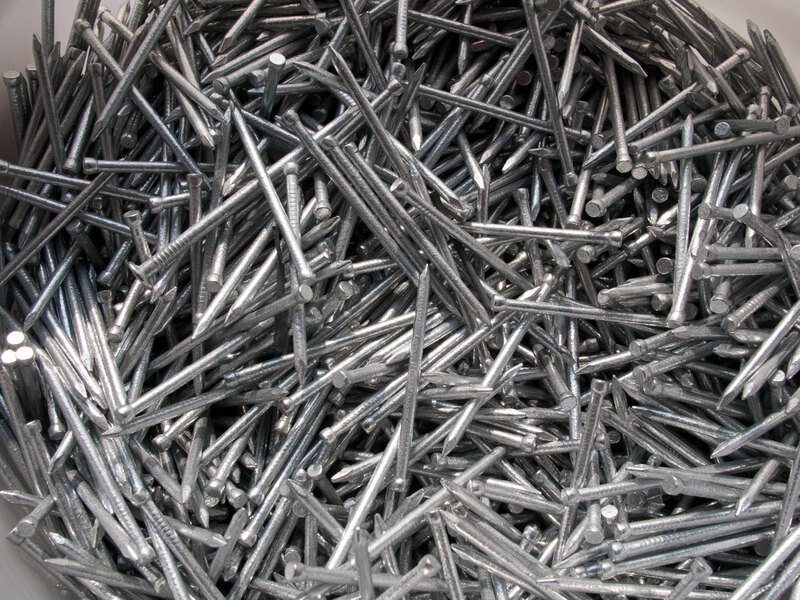 So all Peak Hives flat packs will now be supplied with galvanised nails. 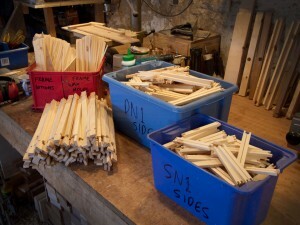 And as usual I like to put a piccy of some recent orders made up in the PH workshop. 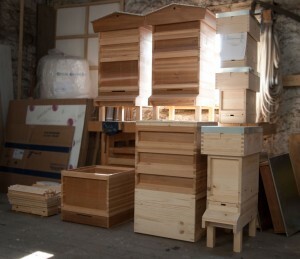 Here’s a load of National Hive equipment in the newly tidied storage area awaiting dispatch. That’s it. Workshop tomorrow. Working for yourself has many benefits but one can’t shake off the feeling that you should be in there all the time. PS. Don’t forget the photo competition!! !